​Paul Pogba gave his shirt away to a thrilled fan after a man of the match performance in Man Utd's 3-0 win at Fulham. 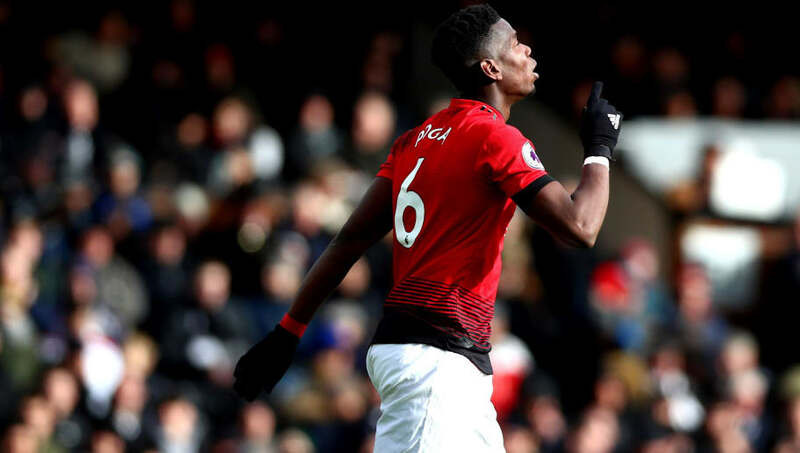 Pogba scored twice in the game to take his goal tally up to 11 which has been is his best scoring season at the club since he rejoined United from Juventus in 2016. His form has spiked under Ole Gunnar Solskjaer, scoring eight goals and adding five assists in nine games. The Norwegian appears to have got the best out of the midfielder, which has helped push the team to fourth place. Shortly after the game ​​Sky Sports filmed Pogba going to the travelling supporters and noticed a young fan who was holding with a sign asking for his shirt and ​Pogba granted the fan's wish. The interaction with the fans shows how much confidence is flowing within the United dressing room of late, with the club undefeated under Solskjaer and making a push to secure Champions League football for another season - a thought that seemed inconceivable back in December. ⚽ - Another 2 goals for Paul Pogba! ​Man Utd have three huge fixtures coming up with a game against PSG in the Champions League, as well as two massive ​Premier League games against ​Chelsea and ​Liverpool which will be the biggest test of Solskjaer's tenure so far.